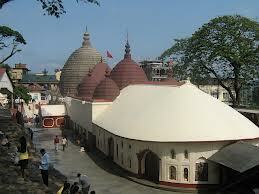 Here is Some Information about Kamakhya Temple(Shakti Peeth) in Guwahati Assam India. Built By: King Narakasur . Nearest Railway Station : Guwahati. 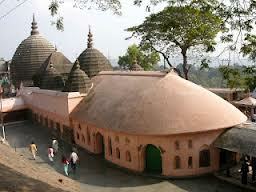 Kamakhya Temple is one amongst the holiest shrines throughout India. Perched on Nilanchal Hill in Kamrup district of Assam, Kamakhya Mandir is easily accessible at a stretch of 8 kms from Guwahati. 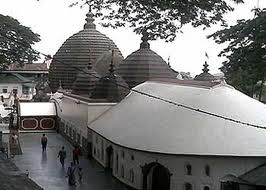 The temple commemorates Hindu Goddess Sati in her aspect of Kamakhya Devi. 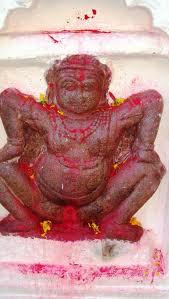 Goddess Kamakhya is also known as Sodashi in the local region. The vertex of the temple is oval shaped like beehive-having 7 spires, 3 golden pitchers on blossoming lotus, upon that a golden trident. 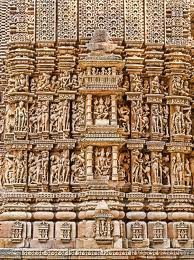 The temple flaunts beautiful frescos of adorned gods & goddesses of Hindu Puranas.The temple represents old Ahom sculpture. By Road: Guwahati is well connected with regular bus services from all the major cities in and around the state. By Rail: The nearest railhead is situated at Guwahati. By Air: The nearest airport is Guwahati. 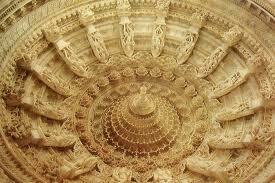 Here is Some Information about Dilwara Jain Temple in Mount Abu Rajasthan India. Dilwara Temples of Rajasthan are popular for their beautiful artistic work. Located near Mount Abu in Rajasthan, Dilwara Temple is easily accessible from any town or city of Rajasthan. Mount Abu is a beautiful and one & only hill station of Rajasthan. Several train services are available by Indian Railways for Mount-Abu from different cities. Dilwara Temple lies at a distance of 2.5 kms from Mount Abu. From Mount Abu railway station, many bus services and taxis are available for Dilwara Temple. 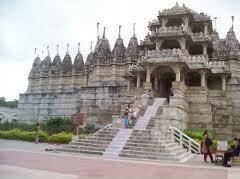 Dilwara Temple forms a famous pilgrimage of the followers of Jainism. The striking use of marble, in the construction of this temple, is truly worth-admiring. 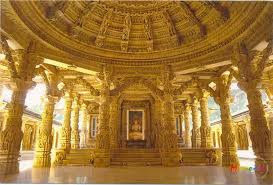 However, the simple architecture of the temple, reminds one of the virtues of Jainism. Set amidst the picturesque hills, Dilwara temples are said to have built during the 11th and 13th century. In the huge temple complex, there are five shrines that are dedicated to Lord Adinath, Lord Rishabhdeo, Lord Neminath, Lord Mahavir Swami and Lord Parshvanath respectively. 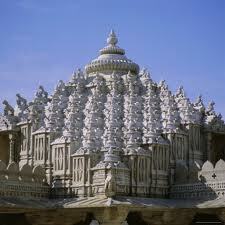 Dilwara Temples are considered to be an example of perfect architecture, in terms of Jain Temples. The intricately carved ceilings, entryways, pillars and panels highlight the aesthetic appeal of this temple. For its mastery over architecture, Dilwara Temple is sometimes regarded as one of the most stunning pilgrimage sites of Jains. The temples of Vimal Vasahi and Luna Vasahi get the maximum attention due to their sheer size and grandeur. 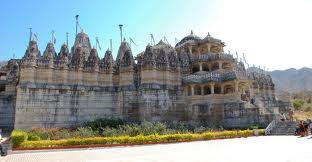 This temple was constructed in 1582 and is devoted to Lord Mahaveer the 24th Tirthankara of Jain's, this temple is relatively small the temple's upper walls have pictures of the porch painted by craftsmen of sirohi in year 1764. 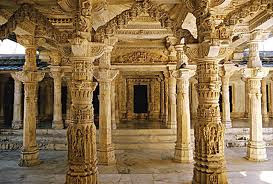 This temple is build by Vimal Shah, Minister of Solanika ruler of Gujarat in 1031 A.D., this temple is the oldest of all and dedicated to Shri Adinath Ji - The first jain trithankar, the temple has an open courtyard surrounded by corridors all beautifully decorated with marble carved stones. Cells inside this temple are contain tiny images of Jain saints artistically carved on marble stone minutely. The internal dome is aesthetically decorated with design's of flowers and petals, the huge hall of the temple pillars decorated with the carving work of female figures playing musical instruments. The temple also have the "Guda Mandapa" - A simple hall decorated with the images of Shri Adi Nath. This temple was built by Mandika clan between 1458-59 A.D., this temple has the tallest shrine along with four big Mandapa's amongst all dilwara temples. 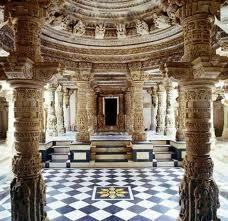 The carving on the pillars of this temple is yet another example of these jain temples architectural superiority. This temple is known as Pittalhari/Peethalhar temple because in this temple most of the statues are built using ‘Pittal’ (Brass Metal). This temple was built by Bhima Shah, a minister from Gujarat dynasty, like other temples of Dilwara this temple is also having Gudu Mandapa and Navchowki. This temple was built in 1230 A.D. by two brothers known as Tejpal and Vastupal, they dedicated this temple to the 22nd saint of Jainism - Shri Nemi Nathji. This temple has one hall named Rag Mandapa which has three hundred and sixty (360) tiny idols of Jain trithankar all minutely crafted on marble proving once again why these jain marble temples of Dilwara are superior to Taj Mahal, Among all these white marble idols the idol of Shri Neminath Ji is made up of black marble.The pillars of this temple were built by Maharana Kumbha of Mewar. 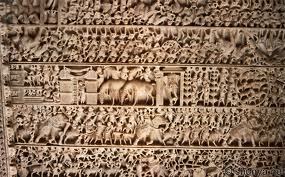 There are two other temples in the complex, dedicated to Parshavantha and Adinatha. The Chaumukha temple, built in 1459, is the tallest and is notable for its pillared mandapa (hall). The Sri Risha Deoji temple is unfinished and has a huge 4.3 ton brass statue of a saint made of panchadhatu (five metals - gold, silver, brass, copper and zinc). By Road : Ahmedabad is 222 km via Palanpur. Jodhpur is 264 km via Pali and Sirhoi, taxis are easily available from these places to Mount Abu. The Rajasthan Tourism Development Council also conducts tours to the interesting spots in Mount Abu. By Rail : The nearest railway station is Abu Road, 29 km away. Abu Road is connected to both Ahmedabad and Jodhpur. By Air : The nearest airport to Mount Abu is Udaipur (185 km) from where one can hire a taxi or take a bus. 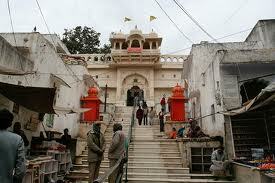 Here is Some Information about Lord Brahma Temple in Pushkar Rajasthan. The temple is open for worship between 6:30 am and 8:30 pm during winter and 6:00 am to 9:00 pm during summer, with an interval in afternoon between 1:30 pm to 3:00 pm when the temple is closed. Three aratis are held in the temple: Sandhya arati in the evening about 40 minutes after sunset, Ratri Shayan arati (night-sleep arati) about 5 hours past sunset and Mangala arati in the morning, about 2 hours before sunrise. The best time to visit Pushkar is in the winter months and especially during October/November when the city is abuzz with activity for the Pushkar Fair. 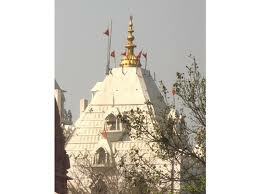 Brahma Temple is the only temple that is dedicated to Lord Brahma in India. 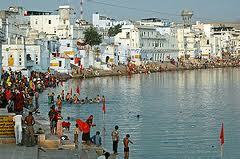 Located near the Lake at Pushkar in Rajasthan, Brahma Temple receives many pilgrims to its doorsteps every year. Built in the 14th century, Brahma Temple commemorates Lord Brahma, who is considered as the creator of this Universe according to the Hinduism. Lord Brahma is one amongst the trinity of Hindu Gods, the other being Lord Shiva and Lord Vishnu. 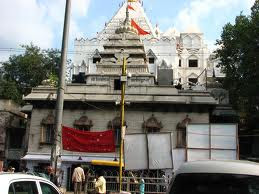 For the Hindus, Brahma Temple is an important pilgrim place. Raised on a high platform, the temple lies in the Pushkar valley that is known for its scenic beauty. Pushkar is regarded as a holy place by the Hindus, since all the Gods & Goddesses of Hindu pantheon observed a 'Yajna' here. Moreover, the Pushkar Lake near this temple is believed to have been appeared when a Lotus flower fell from the hands of Lord Brahma in this valley. According to the Hindu mythology, once Lord Brahma was cursed that he would be not worshipped frequently by the people. Due to the reason, this is the only known temple in the world, where Lord Brahma is worshipped. Constructed entirely in marble, the Temple can be easily identified with its tall red spire. The temple is accessible by a flight of marble steps. An image of 'Hans' (Goose) can be traced on the entrance of the main shrine. One can also spot the silver turtle, which is embossed on the floor in front of the sanctorum. In the vicinity of the turtle, many a silver coins are placed on the floor. Even, the inner walls of the temple are studded with silver coins. The main shrine houses the life-size image of Lord Brahma with four hands and four faces, facing the four basic directions. 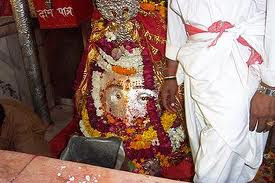 An image of Goddess Gayatri, who is known as the milk Goddess, can be seen near the idol of Lord Brahma. The walls of the temple are adorned by beautiful images of Peacock and Goddess Saraswati. From the temple, there is a silver door that leads down to a small cave. This small cave comprises a temple of Lord Shiva. During the time of Pushkar Fair, this temple is thronged by people in large numbers. At this point of time, Rajasthan Tourism arranges tents for the convenience of pilgrims and tourists. Brahma Temple gets a major attraction as it is the only temple in the world where Lord Brahma is worshipped. Pilgrims come to pay their homage and get blessings from the Lord. Savitri Temple - This is the temple dedicated to Lord Brahma's first wife. It is located on the hill behind the Brahma temple, and one has to climb a long series of steps to reach the destination. It gives a panoramic view of the lake and surrounding sand dunes. 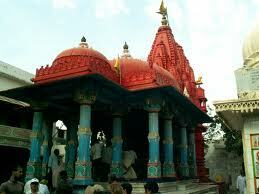 Rangji Temple - The gracious temple is very conpicuous, due to its south Indian style of architecture. It has a high rising 'Gopuram' typical of southern India. Varaha Temple - The Varaha temple houses an image of lord Vishnu in the incarnation of wild boar. The temples of Brahma and Varaha are considered equally important. This ancient temple believed to be constructed by King Anaji Chauhan (1123-1150). Mythologically a very important temple and is believed that Vishnu came on the earth in the incarnation of Varaha(wild boar) to kill the demon Hirnayaksh and liberate the land from his atrocities. 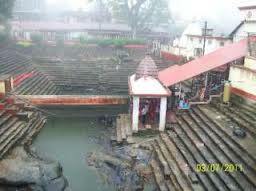 Apteshwar Temple - Another important temple of the town, the 12th century temple is dedicated to Lord Shiva. Temples - Pushkar boasts temples, through few are as ancient pilgrimage site many were destroyed by Aurangzeb and subsequently rebuilt. The most famous is what is said to be the only temple in India dedicated to Brahma. It's marked by a red spire and over the entrance gateway is the hans, or goose symbol, of Brahma, who is said to have personally chosen Pushkar as its site. The Rangji Temple chosen is also important. The one - hour trek up to the hilltop temple overlooking the lake is best made early in the morning,the view is magnificent. 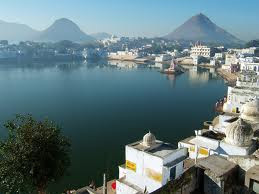 Pushkar Lake - Anything even remotely related to Pushkar Lake has a halo of sacredness and divinity. Legend has it that a dip in its waters cleanses all the sins and is the surest way to achieve salvation from the cycles of life. Circled by some five hundred odd temples, the lake has 52 ghats, which connect the temples to the water. These ghats were constructed by the rulers of the different erstwhile princely states of Rajasthan and some of them are aptly named after the states. By road: There are two bus stands in Pushkar-the Marwar bus stand and in the north of town by the post office, which services some long distance places, and the Ajmer bus stand, east of town by the Pushkar Hotel, which has buses to Ajmer and Jaipur. 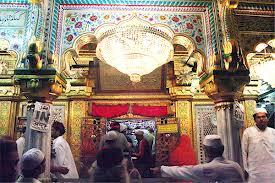 There are many regular buses from Pushkar to Ajmer. 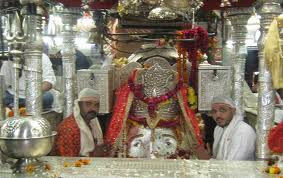 The buses for the temple start from Ajmer to Pushkar depart every hour from 6 am to 10 pm from near the Ajmer railway station. By Rail: The nearest railway station is in Ajmer (11 km) which has trains to Jaipur, Delhi, Udaipur, and Ahmedabad. By Air :Pushkar has the closest airport whichis 131 km away in Jaipur. Here is Some Information about Gauri Shankar Temple in New Delhi India. Location: Next to Digambar Jain Temple on the main Chandni Chowk road. 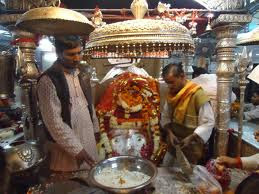 The 800 year old Gauri Shankar Temple is a Hindu temple and is located near the Digambar Jain Lal Mandir on the main Old Delhi road in Chandni Chowk. The Gauri Shankar Temple is dedicated to Lord Shiva and is one of most significant temples of Shaivism. The temple has an 800 year old brown Lingam (phallus stone) encased in a marble representation of a female organ. 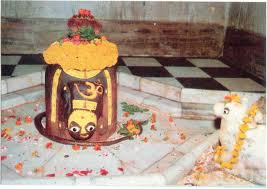 The Lingam is surrounded by snakes made up of silver and represents a cosmic pillar, the centre of universe or life. According to history the temple was built by Apa Ganga Dhar, a Maratha soldier who was a devotee of Lord Shiva. He was once severely injured in a battle and chances of his survival were bleak. So, he prayed to Lord Shiva requesting for his life and promised to build a beautiful temple if he survived. He survived against all odds and builder temple. His name is inscribed in hindi at the lower part of a pointed pyramidal roof like construction near main entrance of the temple. In 1959, Seth Jaipura renovated the temple and his name is inscribed over the windows of the temple. Inside the temple, idols of lord Shiva and his consort Parvati (Gauri-Shankar) and their two sons, Ganesh and Kartik are present. The idols of Lord Shiva and Parvati, wearing real gold jewellery are situated just behind the Lingham under the silver canopy. The Lingham too has a silver water vessel above it from which droplets of water continuously fall. The best time to visit the temple is during the festival of Shivratri when it is grandly decorated and filled with devotional activities. 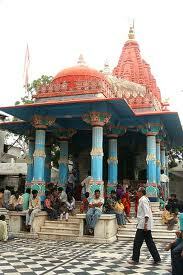 One can visit the temple especially on Mondays, which is day of Lord Shiva. The temple is opened all year round and welcomes visitors of all caste and creed. By Road: The main bus stand is at Inter-State Bus Terminus (ISBT), close to Old Delhi railway station. All inter-state buses terminate and begin from here. By Rail: The Nearest Station is the old Delhi station. One can reach the Temple easily from Station by buses, autos & Taxis. By Air: Delhi's Indira Gandhi International Airport is connected to all the important cities of the world with almost all the major international airlines operating out of here. Palam Domestic Airport connects Delhi to the major cities in India. 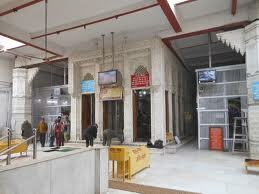 The airport is very well linked to Old Delhi and the metro link is one of the best and speediest ways to Old Delhi. 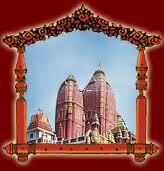 Here is Some Information about Kali Bari Temple in New Delhi India. and then in the evening from 4pm to 9pm. Kali Bari Mandir of New Delhi is dedicated to Goddess Kali. It is relatively small in size and quite unpretentious in its design. 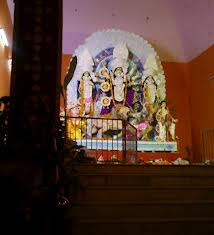 The temple holds special significance for the Bengali people residing in the city, especially at the time of Durga Puja, held in the month of October-November every year. During that time, the temple becomes the center for celebrations and is flooded by devotees of all ages, in large numbers. A massive Peepal tree grows inside the temple and is considered to be quite sacred. Devotees coming to the Kali Bari Mandir tie a red thread around the bark of the tree while making a wish. If the wish gets fulfilled, they come back to the temple to untie the thread. An amazing fact about the temple is that here, liquor is offered to the Goddess. 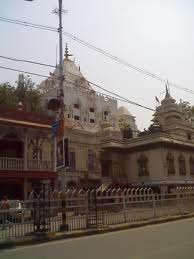 Situated near the Lakshmi Narayan Mandir, the Kali Bari temple is also visited by the North Indians staying in the capital city. Though not ostentatious like the numerous other temples in Delhi, it still attracts devotees from far and wide. 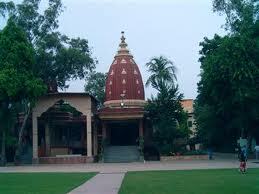 Delhi Kali Bari temple has its own special significance. Temple’s environment makes the devotees to indulge themselves more into the feeling of religion. Here the goddess Durga can be seen in agitated mood. During Navratra , the aura of the temple is very lightning and pure, and devotees can be seen in large numbers. People stand in long queues for the sight of Ma Kali. The grand festivals are held in this temple. Bhandara, Bhajana and Kirtans are organized , and the temple echoes with Mataji’s mantras and Chants. By Road:Delhi is well connected, by a network of roads and national highways, with all the major cities in India. The three major bus stands in Delhi are Inter State Bus Terminus (ISBT) at Kashmiri Gate, Sarai Kale-Khan Bus Terminus and Anand Vihar Bus Terminus. Both the government and private transport providers provide frequent bus services. One can also get government as well as private taxis here. By Train:The railway network connects Delhi to the all major and, nearly, all the minor destinations in India. The three important railway stations of Delhi are New Delhi Railway Station, Old Delhi Railway Station and Hazrat Nizamuddin Railway Station. By Air :Delhi is well connected with domestic and international flights, to all the major cities within and outside India. Almost all the major airlines have their flights operating from Indira Gandhi International Airport of New Delhi. 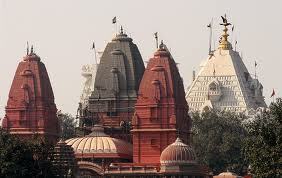 Here is Some Information about Kalkaji Temple New Delhi India. 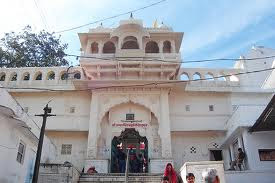 Kalkaji Temple, popularly known as Kalkaji Mandir is a renowned temple dedicated to Kalka Devi or Kali, one of the incarnations of Goddess Durga.Situated beyond the commercial complex of Nehru Place lies this temple dedicated to the goddess Kalka Devi. Its oldest section dates back to 1764 and additions were made in the mid-19 th century.Kalkaji Temple is situated beyond the commercial complex of Nehru Place in South Delhi. This domed twelve-sided temple is devoted to Goddess Kalka Devi, a reincarnation of Goddess Durga. 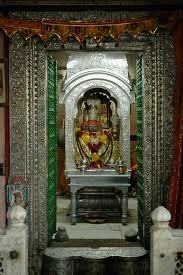 The oldest section of the Kalka Ji Mandir dates back to the year 1734. It is said that the Maratha rulers looted the temple in the year 1738, after they were defeated by the Mughals in the battle of Talkatora. Somewhere in the mid-19th century, certain changes and additions were carried out on Kalkaji temple by Raja Kedarnath, the treasurer of Emperor Akbar. However most of the building is modern. 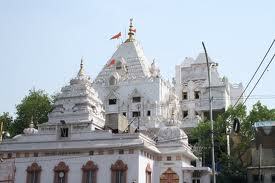 Thousands of pilgrims throng the temple, especially in October during the nine days of navratrey, when a huge fair is held here.Kalkaji Temple stands on a hill. The temple was built in the middle of 18th century and the oldest portion of the existing temple dates back to 1764. In the middle of the 19th century, Raja Kedarnath, Peshkar of Emperor Akbar II made certain changes and additions to the temple. 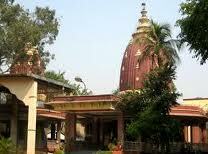 It is believed that the original temple was used by the Pandavas and Kauravas to worship Goddess Kali. This is a very old temple and the oldest part was built up in 1764 A.D. The Kali Temple in Kalkaji boasts of an existence of 3,000 years, although the oldest surviving portion of it dates to 1764-1771 when the Marathas were in power. Looking at the present-day Kalkaji temple one may find it hard to believe that this shrine to Kali is an antique one, where perhaps even the Pandavs and Kauravs had worshiped during the reign of Yudhisthir, whose citadel of Indraprastha had the fabled fairy gates of which bards sang, much like Homer of old, right up to the time of Prithviraj Chauhan.The modern temple is a 12-sided structure completely made out of marble and black pumice stones. 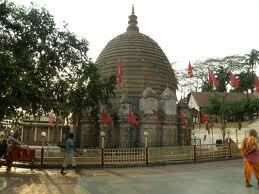 This structure houses the black stone that denotes goddess kali. The temple building is very simple and has no ornamentation as such. There is an inn in the backyards of the main structure known as Kali Dharamshala. The entire structure is devoid of any ostentation and comes across as very plain and simple. Everyday, the idol of the deity is bathed with milk in the morning and an aarti is conducted in the evening. People coming to the temple can purchase offering from the vendors sitting just before its entrance. In the backyard of the main structure is an inn, which is known as Kali Dharamshala. The entire temple is made up of white marble and black granite tiles and the usual number ofworshippers is a few hundred every day. The backside of the temple has a Dharamshala or a rest house which has been built with the help of donations given to the temple. The Kalkaji Temple in Delhi is decked up like a bride during Navratras and extra police force is deployed to check miscreants and control the crowed of almost two million. The pomp and show is such that many leading news channels come to cover the proceedings. People should be careful here since a lot of pick-pocketeers frequent the area in hope to ‘earn’ something. Existent from past 3,000 years, Kalkaji Temple traces many legends regarding its origin. However, the oldest part of the shrine dates back to the 1764 A.D. Kalka Temple is said to have been constructed by the Maratha Rulers in the late 18th century. 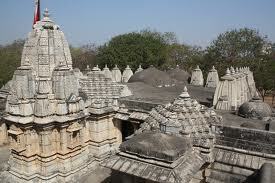 Kalkaji Mandir is believed to have been survived from the times of Mahabharata. There are four Prayer Sessions everyday. These Prayer Sessions are unique, as prayers from all religions are recited during these Prayer Sessions. Prayer Session Timings: 1000 hrs – 1015 hrs (15 minutes), 1200 hrs – 1215 hrs (15 minutes), 1500 hrs – 1515 hrs (15 minutes), 1700 hrs – 1715 hrs (15 minutes).This is the very beautiful places for worship in delhi.Also the durga puja festival is celebrated by the temple and more hindu festivals also celebrated by the temple . By Road : Take an auto or hire a cab or disembark at Indraprastha Metro Station and take an auto.One can easily reach Kalka Devi Temple by taking local Buses, metro, auto rickshaws or by hiring taxis from Delhi Delhi is well connected to all the major cities of India by a network of highways and roads. Buses can be taken from the three Inter State Bus Terminuses (ISBT), at Kashmere Gate, Sarai Kale Khan and Anand Vihar, as well as many starting points in and around the city, from which various state-managed and privately run transport facilities like airconditioned, deluxe and ordinary coaches operate. By Rail:The Indian Railway with their modern and organized network connects Delhi to all major and minor destinations in India. The city has three major railway stations at New Delhi, Old New Delhi, and Nizamuddin. Luxury trains like the Palace-on-Wheels, Fairy Queen, and Royal Orient Express can be taken from New Delhi Cantonment railway station. Rajdhani Express trains connect New Delhi from the state capitals. Shatabdi Express trains connect New Delhi to the neighboring cities.The Nearest Railway Station From Kalkaji Temple Delhi is Nizamuddin Railway Station and Nearest Metro Station From Kalkaji Temple Delhi Central Secretariat.So you can easily reach Kalkaji Temple Delhi by metro rail. As mentioned, Delhi is connected to all the major cities in the world through Airways. Regular flights are available to almost all the European capitals and cities of prominence. Delhi is also well connected to the rest of India with domestic flights. The capital city of India, Delhi is easily accessible from different parts of the country and is also well connected from major cities in South Asia, with over 65 airlines linking it to most major destinations across the world as well as India. Delhi has two airports to cater the needs of commuters, Indira Gandhi International Airport and Palam Domestic Airport.